You are here: Home › Will Big Spending Insurers Have Best Super Bowl Ads? For many viewers, Super Bowl advertisements are as much of a draw to watch the big game as the game itself. The truth be told, the advertisements are often more memorable than the game. According to an article published by the Huffington Post, more millennials watch the Super Bowl for the commercials (26%) than for the game (24%). While that doesn’t hold true for older viewers, there’s still a strong interest in the advertisements. Speaking of advertisements, does your insurance company advertise on TV? If so, you should check out their claims handling. We’ve found that big advertising budgets do not correlate with good service and claims handling. Get a free ValChoice rating by clicking the button below. We chose five of the all-time best advertisements for this blog post. Below is a short description of each advertisement and a link to the video. Betty White stars in one of the funniest, most memorable Super Bowl ads of all time. Remember the 2010 advertisement for Snickers where the setting was a sandlot football game? First, Betty goes down in the mud trying to catch a pass. After being trash talked in the huddle for her poor performance she eats a Snickers bar, and everything changes. 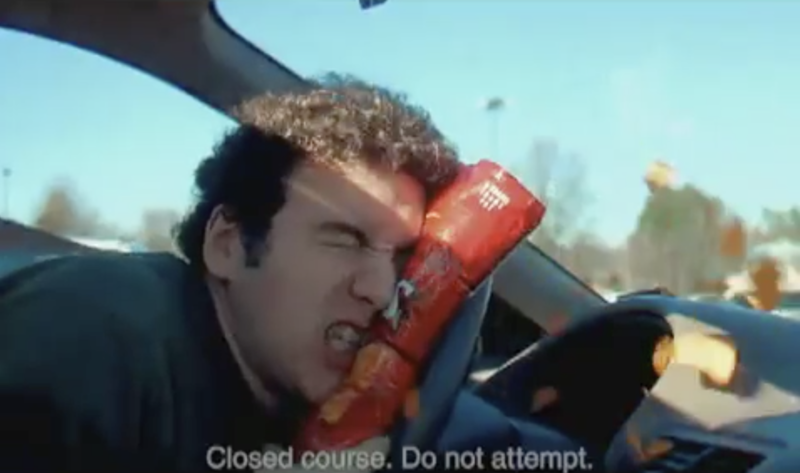 Tag line: “You’re Not You When You’re Hungry.” Play the videos below for the funniest Snickers commercials. The commercial with Betty is included. The 2007 Super Bowl advertisement “Live the Flavor” is simply laugh out loud funny. The advertisement is tailored toward the younger generation. That makes sense since it’s been established that the younger generation tends to have a stronger interest in the advertisements. Best of all, the clip is laugh out loud funny multiple times in only 30 seconds. This advertisement, aired during the 2000 Super Bowl, was designed purely as entertainment. The impact of the ad was probably more profound than any company or ad executive imagined. To most American’s the most obvious impact was on the lexicon of American males for as much as a couple years. “Whasssup” changed the way many of the male gender greeted each other on all but the most formal of occasions. Besides making “Whassup” a preferred greeting, the ad probably sold a lot of beer as well. How about the 1984 advertisement for Burger King, Where’s the Beef? 34 years later, “Where’s the Beef” still brings back memories of that ad. Who played in the Super Bowl that year definitely requires an internet search for most people. Unfortunately for football fans, the landslide victory for the Raiders over the Redskins, is now forgotten by all but the most die hard fans. Meanwhile, “Where’s the Beef” lives on. Aired only once during the 3rd quarter of the 1984 Super Bowl, this ad was truly iconic. Previously, ads had been limited to 30-seconds. This ad was one minute. Interestingly, I write this blog post on my MacBook Air with two other Macintosh computers on the desk. How many Super Bowl watchers in 1984 would have ever thought that a small company in Cupertino, California, named after a fruit, would have such a significant impact on personal computing? Amazingly, the profound effect was despite the Apple board of directors never allowing the ad to be aired again because it did not highlight the product, front and center. Those are five of our favorite Super Bowl Ads. Now let’s look at what’s missing from the list. We did a search of the 25 Best Super Bowl Ads and the 25 companies with the biggest advertising spend. What we found was that in some cases the biggest spenders also had the best Super Bowl advertisements. However, not when it came to insurance. Insurance had three of the 25 biggest spenders but none of the 25 best ads. We also looked at the amount of money spent on advertising by product category. Financial Services, which includes insurance, spends more than the product category of beer, wine and liquor. Nevertheless, beer, wine and liquor is a consistent winner when it comes to having the Best Super Bowl Ads. In fact, Budweiser is last on the list of the 25 biggest spenders. Being the smallest of the top 25 doesn’t diminish their ability to produce great ads. They are recognized for having produced four of the best Super Bowl ads over the years. Talk about a dichotomy. Insurers don’t want drivers drinking alcohol. But, letting their hair down and imbibing in some fermented hops may be exactly what the industry needs to begin creating the best and most memorable ads. Do You Want a Great Super Bowl Ad or a Good Insurance Company? Without trying to get too precise, nearly 5% of car insurance industry revenue is spent on advertising. That means for every $1,000 policy, $50 goes toward advertising. If you have three cars, you’re paying $150, per year, for advertising. Importantly, this is only the first order effect. There’s a second order effect that also impacts everybody that buys insurance. The companies that are advertising are effectively encouraging consumers to shop for insurance. Every time anyone gets a quote the insurance company that quotes the business pulls a credit report. That costs money. This means the cost of doing business is increasing, not just for companies advertising, for every company in the industry. Conclusion: Advertising by insurance companies is a waste of the consumers money. Your money. Advertising is currently necessary because consumers don’t know who provides the best value and the best protection. Unfortunately, the catchy jingles and cute phrases contained in advertisements don’t provide any meaningful information. With transparency shopping is no longer necessary because consumers will already know how competitive their company is in both value and protection. Consumers only need to shop for better insurance when they have a lifestyle change or the company they’ve been with begins to deteriorate in performance. For consumers this almost sounds too good to be true. It’s not. Transparency exists today. Here are the steps to take to get the information you need. Why is Transparency New to Insurance? There are a few reasons transparency in insurance is new. First, consumers haven’t had the ability to demand transparency. Because consumers are mandated to buy insurance, what choice did they have? Consumers didn’t have an option of protesting. Second, the multiple billions of dollars spent on advertising by insurance companies leads many consumers to trust these companies. Instead, consumers should be asking why these companies don’t allocate these billions of dollars to providing better protection for their customers? Third, how companies behave is largely hidden from consumers. Lawsuits are frequently settled in arbitration or mediation with a confidentiality agreement that prevents reprehensible behavior from becoming public. Market conduct studies done by regulators are deemed to be confidential information. Until now, these multi-billion dollar companies have had the ability to operate within a shroud of secrecy, without the public being able to know the information they need to know in order to best protect their family and their finances. If the report is good, stay with that company and tell a friend. If the report isn’t good, we will guide you on how to find a better insurance company. Note: ValChoice does not receive any form of compensation from insurance companies for presenting them in our car and home insurance reports.